Singaporean mamas are doing amazing things all over the world! Today we meet adventure travel writer Nellie Huang, who’s already brought her 3-year-old to 30 countries! Meet Nellie Huang, probably the most gung ho and adventurous overseas mama we have interviewed so far, on a mission to travel to every country in the world. Motherhood hasn’t stopped her from exploring the world. 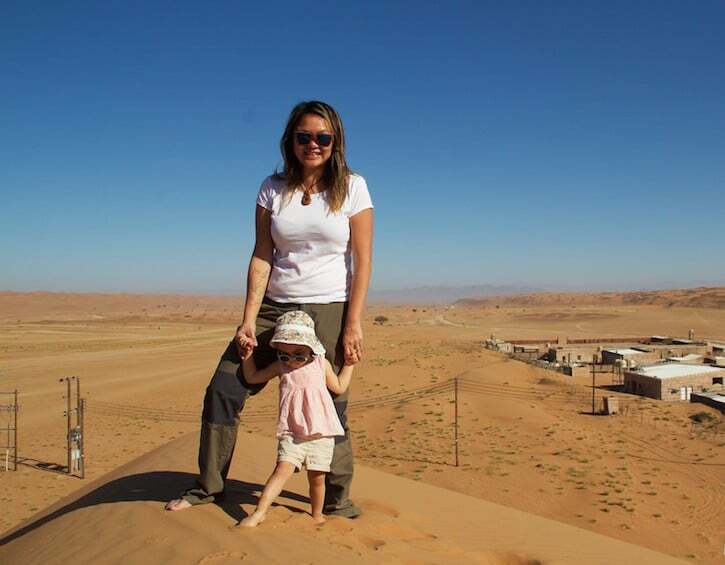 On the contrary, adventure travel is still a very big part of her life and without missing a beat, she’s already quickly carving out a niche for herself with a globetrotting toddler in tow. I’m Nellie Huang, a professional travel writer specialising in adventure travel and unusual travel experiences. I’m from Singapore, although I have called the United States, the United Kingdom, Spain, Tanzania and, now, the Netherlands home. I have traveled along the Silk Road, gone on an expedition to Antarctica, trekked with gorillas in Uganda, skydived in Spain and climbed an active volcano in Guatemala, chronicling it all on my adventure travel blog, WildJunket.com. I am also the author of The Adventure Traveler’s Handbook, a comprehensive guide on how to travel boldly and discover the world in exciting new ways. What brought you to Amsterdam? How long have you been living overseas? After living in southern Spain for over seven years, it was time for a change. My Spanish husband looked around for new job opportunities and found a great one in Amsterdam. We didn’t hesitate and moved to Amsterdam in November 2017 with our 3-year-old daughter, Kaleya. I’ve been living abroad since 2005 and have gotten used to moving around. I enjoy the change in surroundings, getting to know a new culture and settling into a new environment. Favourite aspect about living in Amsterdam? Of all the places I’ve lived in, Amsterdam was the easiest relocation to date. There are many expats here and the city is so international it’s really easy for us to move here, integrate into Dutch society and build friendships. The Dutch administration is great and almost everyone speaks English. I love the size of Amsterdam – it’s not huge like other cities I’ve lived in, nor is it tiny and boring. In fact, many people call it a conglomerate of villages. It’s very easy to get around and we are surrounded by so much nature. We live right next to a canal and a forested park with a walking trail. We get to experience country living right in the middle of the city! Doesn’t hurt that the city is also very kid-friendly. The only thing I dislike about living in Amsterdam is probably the prices here. It’s more expensive than the other cities we had lived in and it’s quite difficult to get used to. Apartment prices are high and the cost of eating out is exorbitant. Summer pyjamas. I’m shocked by how hot it gets in Amsterdam! A pair of shorts – again for the heat. How do you think parenting in Amsterdam differs from parenting in Singapore? What do you appreciate most about it? Generally-speaking, parenting in Amsterdam involves spending as much time as you can with your children. Most mothers I know here had quit their jobs and would stay at home with their children until they are at least four years old (and starting primary school). Many fathers also work less hours than before, either working from home or taking one day off during the week. There is a strong emphasis on work-life balance here, which is exactly what we’re looking for. There are plenty of playgroups and kid-oriented activities in Amsterdam and that shows how much priority Dutch parents give to their kids. I appreciate how flexible and understanding companies are to their employees who have children. Did you give birth to your child in Amsterdam? If yes, what was memorable about the experience? I gave birth to Kaleya in Granada, Spain so I can’t speak for Amsterdam. In Granada, I was extremely grateful to the doctors and nurses who took charge of my emergency c-section, working efficiently to make sure that my daughter and I were safe. The hospital staff were also amazing and gave me all the care I needed to recover after the c-section. Being in a public hospital also meant that I didn’t have to pay a single cent as social security took care of all the expenses. To be honest, my career hasn’t changed a lot post-baby. I still have the same passion for adventure travel and continue to work hard and grow my audience online. I still travel approximately once a month, sometimes with my daughter and other times on my own. It takes a bit more planning and effort to make that happen but I am very lucky to have an understanding husband. The only thing that has changed is that I now write about family travel in addition to adventure travel. Our 3-year-old daughter has already been to more than 30 countries with us, including off-the-beaten-path locations like Iceland, Haiti, Swaziland and East Timor. She has added new meaning to travel for me, and I find it even more rewarding to travel with her. Favourite kid-friendly restaurant in Amsterdam? It is hard to name just one! Happy Happy Joy Joy is one of my favourite restaurants in Amsterdam for its funky atmosphere and cheerful food. Brouwerij Troost Westergas is another place I love. Kanarie Club in De Hallen is definitely one of the more kid-friendly restaurants in town and its food is pretty good, too. Top five places in Amsterdam you would recommend to parents travelling with kids? Note: Two of my top places are actually activities that will help parents with kids to better discover the city. 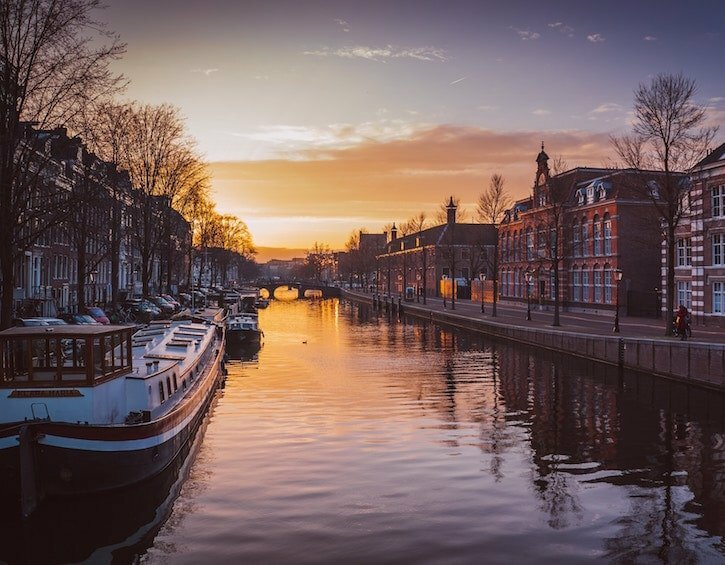 Go on a canal cruise – The absolute best way to see Amsterdam is from the water! Rent a bicycle – Cycling is the default mode of transport here, so start pedalling to experience the Amsterdam way of life like a local. Vondelpark – A centrally-located park that is excellent for kids, especially in the summer, to run about, splash in the paddle pools and have fun! NEMO Science Museum – Great interactive museum for toddlers. Albert Cuyp Market – A big open-air market that sells everything from local produce to shoes and souvenirs. Remember that it doesn’t last forever! Many parents are deterred from travelling with kids because of air travel. Keep in mind that once you get to your destination, you will forget the pain of getting there. If you stay calm, your baby will stay calm too. Is there something that you do to keep your child in touch with her Singaporean roots? I bring my daughter to Singapore at least once a year and usually during the Chinese New Year. She’s already been several times and she loves wearing her Chinese New Year cheongsam, watching lion dances, fireworks and eating loads of food – like a true-blue Singaporean! I also try to teach her some Mandarin phrases and songs from time to time so that she is acquainted with her Chinese heritage. A small pair of Dutch clogs. A jar of stroopwafels (Dutch caramel waffles). I think the hardest part is to keep my child in touch with her roots and to teach her about my own culture. I find it really hard to speak only in Mandarin with my daughter. Before giving birth, I told myself I would speak to my child only in Mandarin so that she could learn the language. But it takes a lot of discipline and patience, and, sadly, I haven’t been able to persevere. It requires a lot of determination and discipline. My daughter speaks both English and Spanish (my husband’s mother tongue) but I wish I could teach her Mandarin as well. Chicken rice mix and shrimp paste chilli! I always use an eyeliner, no matter how busy I am. Whenever I miss home, I make my own version of bak chor mee (minced meat noodles). I usually try to get mee pok in the Chinese supermarkets, otherwise I use mee kia which is readily available in all supermarkets here. I blanch the noodles, add boiled minced meat and a dollop of shrimp paste chilli that I brought from Singapore. As long as I have the right chilli, it will taste almost like the real thing. What’s the one thing you would miss about Amsterdam if you moved away? Probably the openness of the people here – I love how warm and open-minded they are! People often strike up conversations with me, whether it’s in the lift or on the tram. Even though I don’t speak Dutch, Amsterdammers are not judgemental at all and are always happy to speak to me in English.